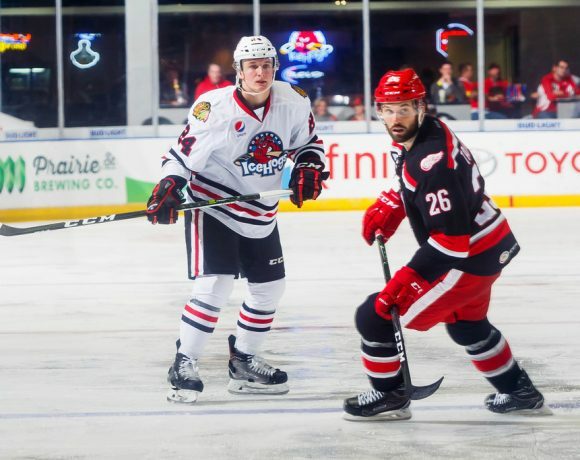 The Rockford IceHogs will commence a four-game home stand Saturday night. In fact, the Blackhawks AHL affiliate will be hosting opponents in seven of their next eight games. Perhaps the nets at the BMO Harris Bank Center will be more receptive to offerings from the piglets. Through 22 games, the IceHogs scoring is down by over a half goal per contest in comparison to last season. 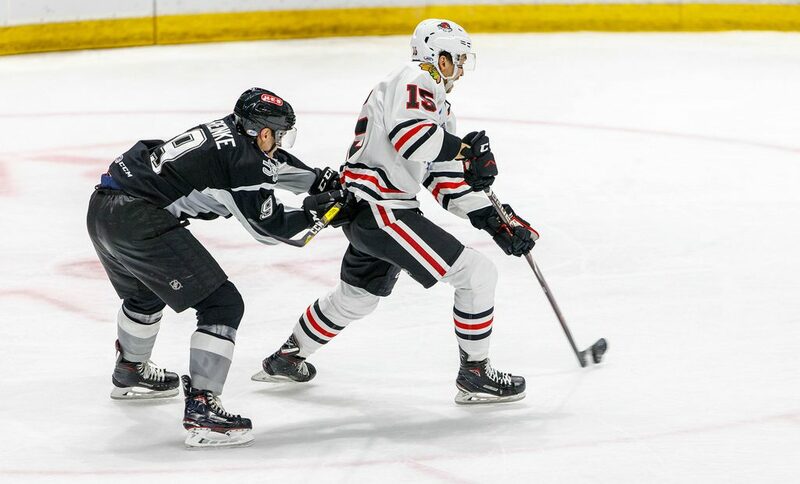 In the month of November, Rockford was undefeated when scoring at least three goals. Unfortunately, that only happened four times. The Hogs were 5-5-0-3 in November and are now 9-8-1-4 on the season. Rockford is averaging 2.41 goals per game. 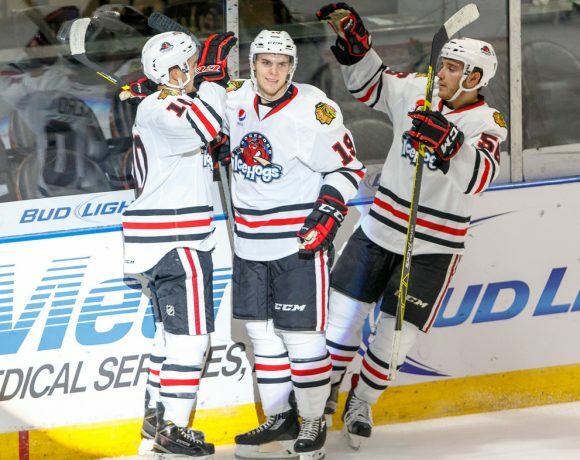 Last season, the IceHogs were scoring at a 2.95 goals per game clip. 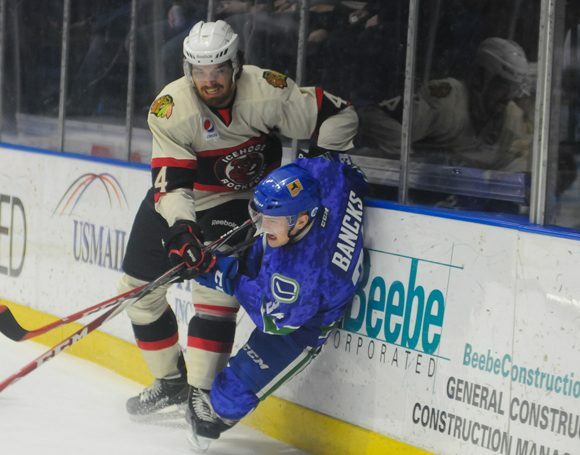 The record reflected that; Rockford was 12-9-1 around this point in last year’s schedule. Due to other activity in the Central Division this week, the IceHogs are in sixth place in the standings. Manitoba improved its points percentage to .525, just ahead of Rockford (.523). The roster held steady this week, with no new signings or movement between Rockford and Chicago. Coach Derek King will have a similar crew available to take on this weekend’s opponents. Saturday, December 1-Milwaukee, 6:00 p.m. The Admirals, who defeated Rockford in a shootout this past Saturday, have won four in a row heading into Friday’s game with Texas. Milwaukee is second in the Central Division and have been solid at both ends of the ice. The IceHogs are 2-0-0-1 against the Ads this year. All three games have been at UW-Milwaukee Panther Arena and decided by a single goal; two have required extra time. Milwaukee is 9-2-3 in one-goal games this season. Sunday, December 2-San Antonio, 4:00 p.m. The Rampage have won five of their last six contests, including two in San Antonio in that span. The Rampage will be playing in Grand Rapids Friday night and in Chicago Saturday before finishing a long weekend in Rockford. San Antonio is the only team in the AHL below the Hogs in scoring with 2.38 goals per game. However, they have picked it up offensively in the last couple of weeks. The Hogs are 1-1-0-1 vs the Rampage so far this season. Follow me @JonFromi for thoughts on the scene in Rockford all season long.